- Tear resistant stitching and glue seal along seams for durability. - Knuckle inserts and flexible curved shape for ultra comfort. - Non slip palm with screened-on silicone for secure grip. - HEAVY DUTY INDUSTRIAL DESIGN – Designed for Commercial and Industrial Use, Also Great For Basic Household Duties! 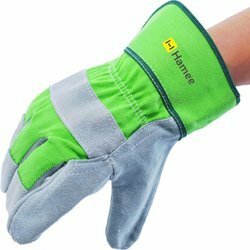 We are successfully meeting the requirements of our clients by trading the best quality range of Safety Gloves.